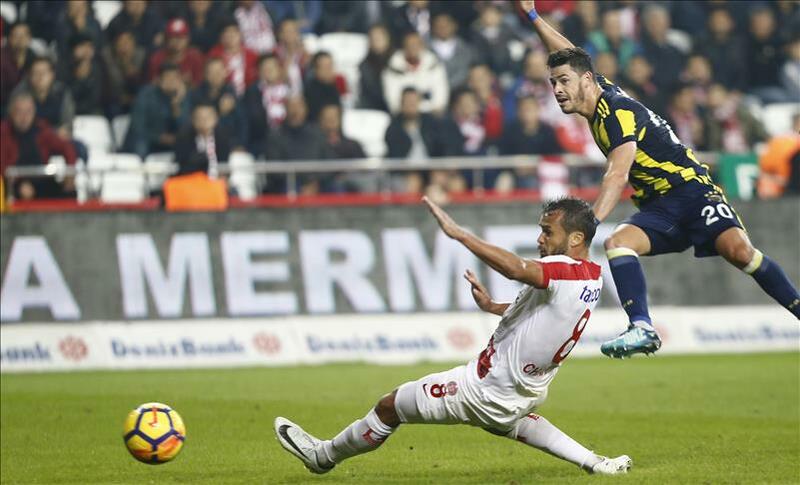 Fenerbahce defeated Antalyaspor 1-0 in Turkey's Super Lig match on Sunday evening at Antalya Stadium. The Yellow Canaries got the winning goal just before halftime -- in the 45th minute -- when Brazilian attacking midfielder Giuliano Victor de Paula carried the ball to the Antalyaspor goal and found the net inside the penalty box after striker Vincent Janssen's assist. The successfully executed counter-attack meant a 1-0 lead in the first half for the Istanbul club. Fenerbahce managed to hold on in the second half, thus winning the match and boosting their points total to 23. They are now in third place, having ousted Besiktas from its spot with goals average. The Super Lig's 13th match week will end on Monday when second-place Basaksehir takes on Kaysersipor in Kayseri.